One of the great things about writing this blog is looking back over past entries. It reminds me of the roller coaster ride that is ‘SPORT’. 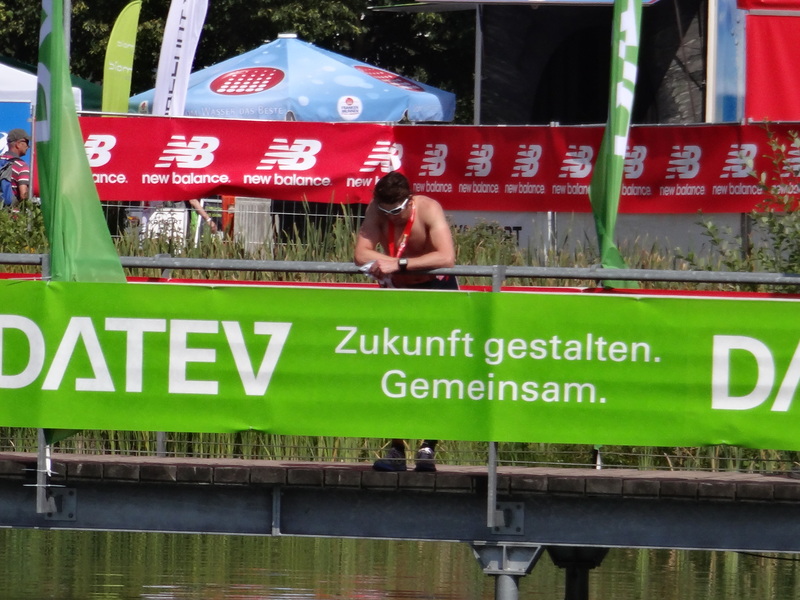 Following on from Challenge Roth 2013 I found it very hard to bring myself to write anything. The race was without a doubt one of the most mentally gruelling experiences I have been through. After 2hrs on the bike, physically I was broken. The power had dropped like a sinking lead weight, I was seeing stars and struggling to ride in a straight line. For the first time in my life I seriously thought about quitting. This was then followed up by pure anger at myself for even thinking such a thing! And so this battle continued for the next 6hrs. By the time I crossed the finish line I was mentally broken. My mind was spent and I had nothing left to give. I was totally and utterly gutted. In the days after the race I remember feeling broken like never before. I am used to physically being broken. That has happened to me 100’s of time and the body heals quick. What I am not used to is being mentally broken. Even after the crash in IM Lanzarote my mind felt strong and full of fight. OK, my head had been through the wars and had some healing to do but I can still remember feeling that ‘fight’ inside me. After Challenge Roth for the first time in my life that ‘fight’ felt completely gone. After the race there were some kind words said to me, from people who had no reason or need to say anything. So I just want to say thank you to them. If you are reading this, you will know who you are. It was very much needed and you have no idea how much it helped. Over the next 12 days I spent ALOT (probably too much) of time thinking about the race and what went so horribly wrong in Roth. I explored almost every avenue I could think of, had doctor check ups, spoke to various experts and carried out some tests. After all this analysis it all pointed to one thing – THE HEAT. It boiled down to one thing. I had massively improved my race pace power over the winter. In the Forestman I had averaged 304W and it had felt comfortable. It was 16DegC that day and I was warm. What I had not even thought about was the associated problems of increasing your power output – the increased heat you generate! Basically, on a hot day at 300-310W I generate too much heat for my body to cope with. My core temperature rose above a critical point and bang – game over. That is what happened in Roth. I had not even considered Germany to be a hot place to race and had done zero heat acclimatisation. Right up to the taper the weather in the UK had been cold and wet so I had zero heat training in my system. I had no chance out there. Being a UK based athlete, even with heat training, I am still going to have this overheating issue. I can’t just say “well it is a hot day, so I won’t be able to perform well today”. I needed to find an answer…. This ‘answer’ was sparked by a conversation with Simon Smart. The idea was simple and at that point it was no more than a concept. But from the moment this ‘idea’ entered my head it was like someone flicked a switch. Fuelled by the prospect of an answer to this overheating problem I could feel the ‘fight’ surging back. This was more than an idea, it was a spark of ‘hope’. Ironman Copenhagen is in 9 days time. I have never felt such a sense of calm before a race as I do right now. I know what I am capable of, I have not doubt in my mind. Whether this happens in Copenhagen……. Well that is what sport is all about………..